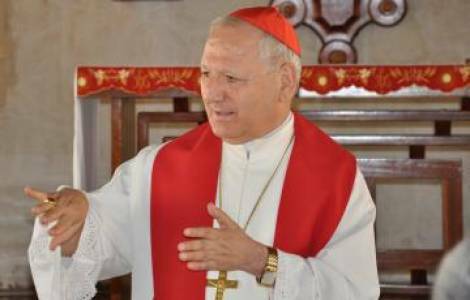 Baghdad (Agenzia Fides) - The Chaldean Patriarchate responded with an official note to the recent criticisms publicly addressed to Patriarch Louis Raphael Sako by the Chaldean National Congress, a political acronym founded in the US in 2002. The Patriarchate’s statement sent to Agenzia Fides, reiterated that the Chaldean National Congress adopts what it defines "unrealistic" positions on issues such as the future political and administrative solutions of the Nineveh Plain without providing concrete contributions to the problems that continue to fuel the drastic erosion of the Christian presence in Iraq in the recent 15 years. "It is a shame", the Patriarchal statement reads, "that some use the Chaldean name for personal interests". The Chaldean Patriarchate responds to the official statement - published on ankawa.com website - with which on Thursday 31 August the political leadership of the Chaldean National Congress had deplored some recent speeches of the Patriarch, branding them as ecclesial interferences in strictly political disputes.